Whether it’s a simple oil change or a more complex diagnosis & repair, there is only one standard of service at Govert. 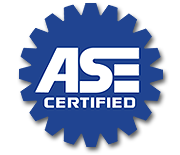 All of our mechanics are ASE Certified & follow the same standards of workmanship as our body shop. We are a full service mechanical shop that offers quick service & quality repairs. With the latest diagnostic equipment, our mechanics will get your vehicle back in perfect running condition in no time. Govert offers a wide range of tune up & maintenance services for your vehicle. Our auto mechanics are ASE Certified and are trained in the latest auto repair techniques & standards to date. Engine filters, spark plugs, ignition wires and oil changes are just a few of the common maintenance services we provide. Call our service department today to schedule an appointment for your vehicle. Your vehicle's engine creates a lot of heat & automotive belts & cooling systems commonly need repairs or replacement. Hoses, radiators, fan motors, thermostats & water pumps are all items within these systems that Govert mechanics can repair or replace to keep your vehicle from breaking down or overheating. Your vehicle's fuel & emissions system affects the gas mileage of your vehicle & its impact on the environment. Making sure your fuel & emission system is clean & running properly can save you money & help lower you carbon footprint. Fuel injection, carburetors, solenoid, emission parts, filters & fuel pumps are just a few of the items that may need attention or repairs. Electrical components are a major part of today's vehicles. Our ASE Certified mechanics use the latest computer diagnostics technology to pinpoint & replace problems with your vehicle's electrical components. Alternators, batteries, cables, starters & solenoids are common items that need to be repaired or repaced. If you think your vehicle may have an electrical problem, call our service department today to schedule an appointment. Climate control systems keep us comfortable when it is unbearable outside. Our mechanics are specially trained to find & repair any leaks or damage to your heating or air condition systems. Maintenance or repairs to compressors, condensers, evaporators, valves, cores & blowers can get you back in the comfort zone again. Is your vehicle grinding or making noise while driving? It may be time for new brakes or wheel bearings. Typical vehicle maintenance schedules require pads, shoes, rotors, drums, bearings & seals to be replaced during the life of your vehicle. To schedule an appointment, call our service department. If your vehicle is pulling or bouncing, you may have alignment or suspension problems. Bring your vehicle to Govert where one of our ASE Certified mechanics will take your vehicle for a test drive to help diagnose the problem. Suspension parts, such as shocks, springs or struts often become damaged or worn out over time & simply need to be replaced to return your vehicle to safe driving condition. Your muffler & exhaust system limits the amount of pollution produced by your vehicle. Having a damaged muffler can not only be loud, but harmful to the environment as well. If your vehicle sounds like its time for a new muffler, it probably is. Stop in to Govert today to have your vehicle's exhaust system inspected for damage & harmful emissions. Whether your vehicle has a leaky gasket or needs new piston rings, Govert mechanics are specially trained to handle any size engine repairs or overhauls. With the help of computerized diagnostics equipment Govert can restore your vehicle's engine to proper working condition. The transmission & drive train are a major part of your vehicle's entire system. Occassionaly the entire transmission may need to be rebuilt, but often changing fluids, filters or seals can alleviate any problems your vehicle may be experiencing. Regardless of the problem, Govert has the proper equipment & training to get your vehicle running properly once again. Please fill out the form below to schedule an appointment for our mechanical shop (Griffith location only). Appointments are not required, but may help to reduce your wait time at our office.